The Phillips is currently hosting the exhibition Art and Wellness: Creative Aging. The display features work from our program which encourages older adults (many of whom suffer from Alzheimer’s or related dementia), along with their families and caregivers, to make connections and access personal experiences and long-term memories through gallery conversations and hands-on art therapy. It is part of an ongoing collaboration between The Phillips Collection and Iona Senior Services. (Left) John Frederick Peto, Old Time Card Rack, 1900. Oil on canvas, 30 x 25 in. Acquired 1939. The Phillips Collection, Washington, DC. 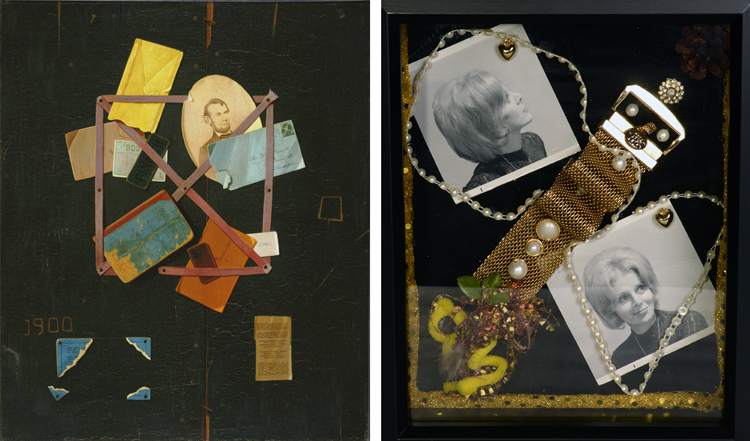 (Right) Susan Meyers, Momma—Earlier Days, 2013. Mixed Media.